I'm not a big fan of long speeches, so I'll keep it simple. 2011 is here and i would like to celebrate this we you my own way. So i've prepare for you a new pack with 5 tracks free of charges and released under Creative Commons licence. This pack is composed by songs that will never signed but perhaps that will please you. Anyway I wish you an happy new year 2011, a lot of success and especially a good health. Edit: "Heart Stories" is now available as an exclusive release (30/08/2010 to 13/09/2010) at audiojelly "heart stories". Edit: you can now check your regular store, "Heart Stories" should be available. We have been working very hard theses last few weeks on the news website of Tranceplorations radio show. You will find on tranceplorations.com all the infos you have to know about it: news, schedule, tracklists and all of that in english but also in french (cocorico !) !! In memory of the love parade 2010 victims and their family the AWOT group and Silent Shore Recording offer you the track "ReOrder pres Group Number One - A World Of Trance (Original Mix)". You can get the mp3 for free by going directly on http://www.silentshorerecords.com/. My New remix "Aeden - Rendez-Vous In Paris (Ice Upon Fire Remix)" is now available ! It's now official my last production "Mind Stories" will be released on Eyereflex Records the 27/03/2010 with the Oen Bearen Breeze Remix. Please note that the adress of the website have changed:http://www.iceuponfire.net/. I hope you like it, so do not hesitate to leave me your impressions and share the website url! Just a little news to annouce you the release of Never Enough on Actuate Recordings! It's a track created few month ago so i'm sorry for the martering witch is not really clean. The original mix is coming with 3 great remix of Denebstar, Oen Bearen, and Mindflower. 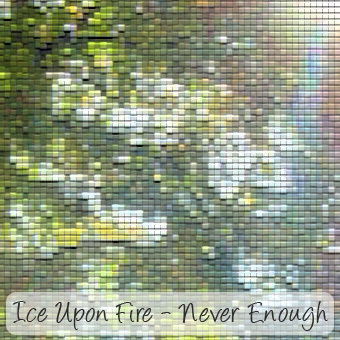 Never Enough is now available on Audiojelly and the 07/06/2009 on the other mp3 shop so you can listen a preview of the original mix on the music page.